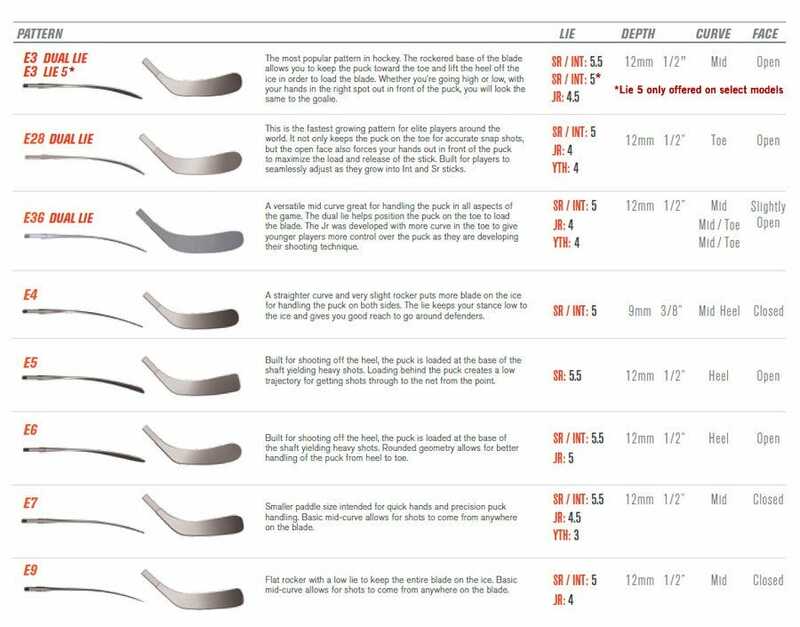 What's the 60 flex stick length? The 60 flex will be 53.5" in length, while the 65 flex will be 58" in length! Got two...buy one get one half off. Good deal, son loves the Eastons. So far no chips in the blade like previous Eastons. Lightweight, looks nice. E28 blade provides great puck control. The flex is perfect and It can handle my slapshot snap shot and wrist shot . Bauer would be crazy not to add this Technology to there line of sticks. Then they would have a great stick to sell! This stick has to be the best stick ive tried. the first game i used it in i scored four goals and i love the durability it has to it and i love the e3 curve it is the best curve to use with it. The stick is accompanied by the original receipt (proof of purchase) WITH MATCHING UPC STICKER AND THE WARRANTY FORM. The stick broke during normal use as a result of a manufacturing defect and EXCLUDES abuse. The shaft was used with the correct size blade. The one-piece stick was not exposed to an open flame or any heat source. The stick was not a factory second, blem, or purchased used. Product was purchased from an authorized Easton dealer (warranty does not apply to third-party auction sites such as eBay). Warranty coverage will be determined exclusively by Easton Sports. Professional, Collegiate, and CHL teams are excluded from this warranty. Please see http://eastonhockey.com/support/warranty/hockey-us-warranty/ for complete warranty criteria.